These Cool Bottle Picture Frames are a simple and interesting way to display your favourite photographs. 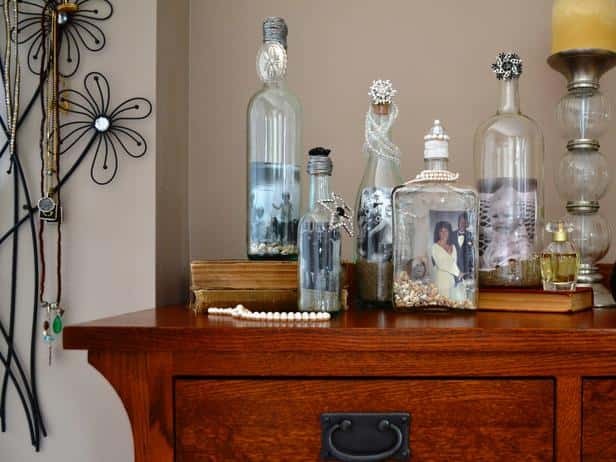 They are fun to make and you can use old bottles from around your home. If you don't have any cool bottles that you can use your local second hand store may be a good place to look for some. There are also lots of interesting ones available at amazon.com. The steps involved are very simple. 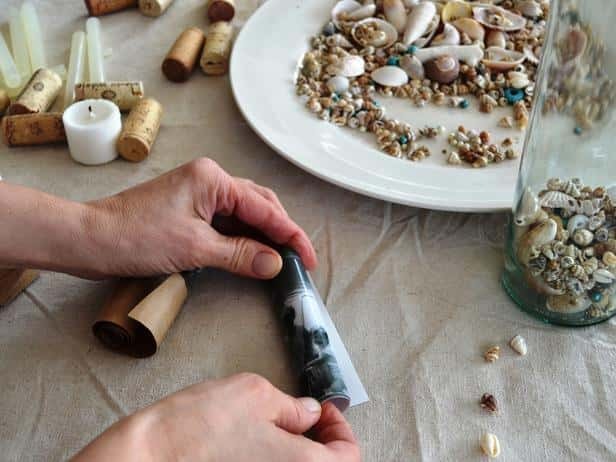 First put some sand and sea shells or small rocks inside your bottle. This will hold your photograph in place. 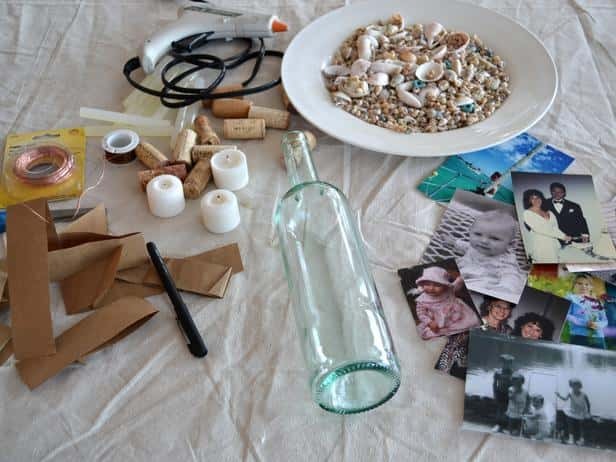 Roll your photograph as shown so that you can fit it inside the bottle. 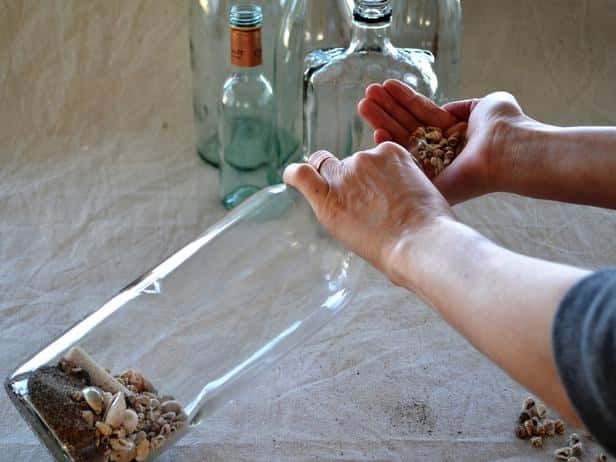 Use a long paintbrush or pencil to adjust the position of the photo once it is in the bottle. 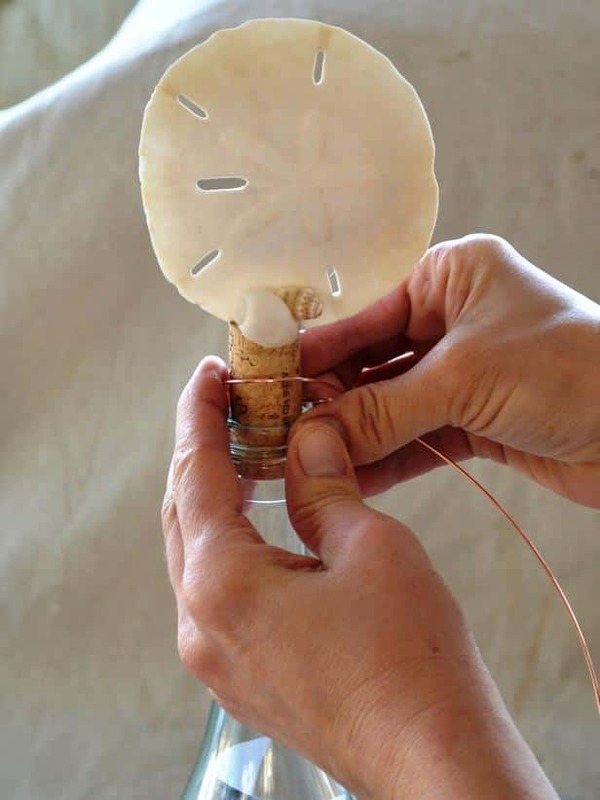 Then seal your bottle with a cork or a stopper. 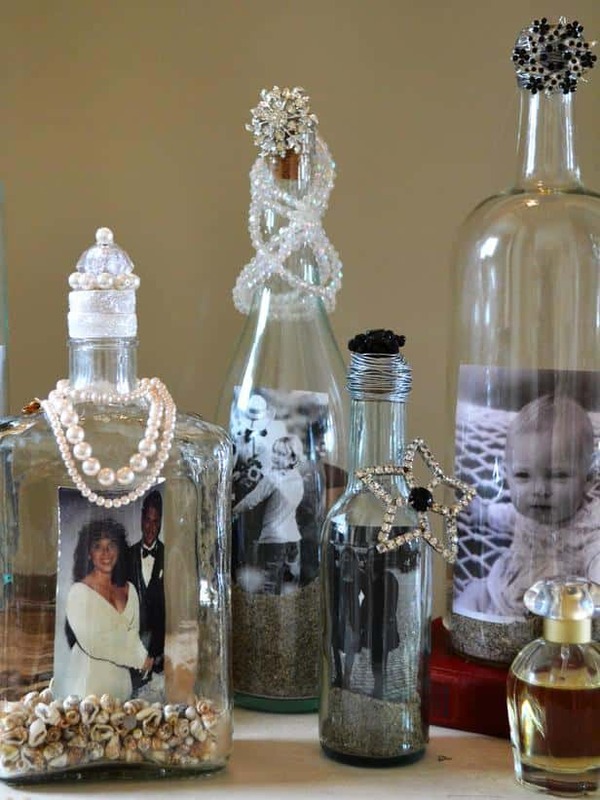 After you have done this you can use glue and other trinkets to decorate your bottle as shown.